Another Saturday has slipped through my fingers. I don't know what it is about weekends but they give me a headache. I woke up early this morning with a headache, fed the dogs and went back to bed. I awoke after 10am to my dogs barking wildly. 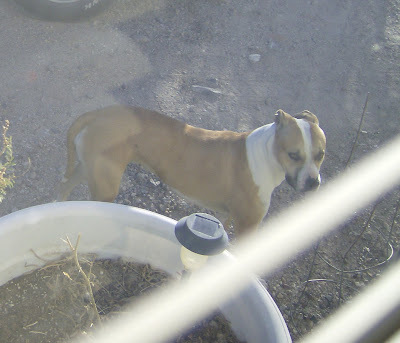 Two strays, a pit/boxer mix and a sharpei mix were wandering around my property causing my dogs to go ballistic. I went out to try and lure my dogs inside with some biscuits but my pit mix was ready for a fight and tried her best to get at those dogs. After watching the dogs try and kill each other through the chainlink it made me think that there is no way I can leave the dogs un-attended in the new fenced area I am planning to built. It is not going to be strong enough to keep two pit bulls away from each other. I'll do the best that I can do but people really need to keep their dogs in their own yards. I always worry that my pit mix will get out. Just like the stray brown and white dog, she is people friendly but very dog aggressive. 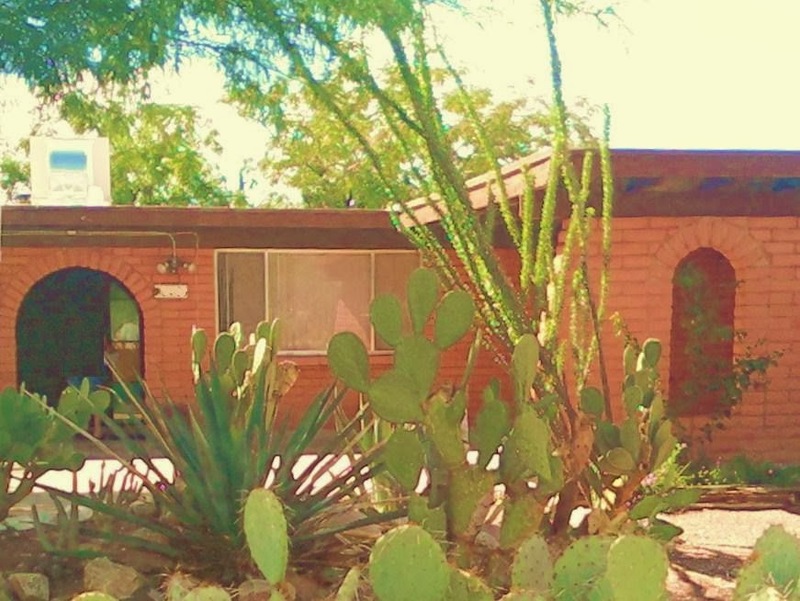 After that rude awakening, I headed out to run my errands. 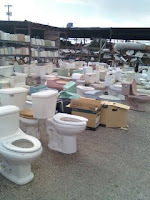 First stop was the used building supply place(just look at that lovely sea of toilets). I was hoping to find T-posts for my dog fence. I did find some but they were either too big, too small, too bent, or too rusty. The price wasn't much better than what I saw online for new ones so I went over to Lowe's. My Discover card send me a coupon for $10 off a $50 purchase at Lowe's. 10 posts plus the post driver totalled up to $60. Now I need to pound them in to the ground. I'm not looking forward to that part. Maybe I should wait for it to rain so the ground will be softer. And for my last errand I ran in to Big Lots to buy a larger collar for one of my dogs. I bought ID tags for them all and noticed that her collar is too small already. I did find a collar but somehow I ended up buying these cookies too. I love these cookies. 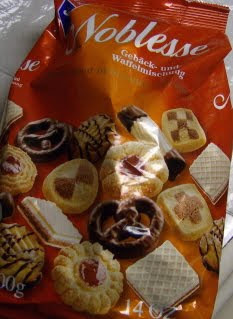 When I was in Europe long ago for school I lived off these cookies whenever there was something unpalatable being served for dinner. Ahh, good memories. Sounds like you were pretty productive. Too bad about the loose dogs. Their owners should be more responsible. My problem is that it takes me half of Saturday to get started, then the day is over too fast. I need 3 day weekends like you! The boxer/pit was so friendly and pretty. Too bad she wanted to eat my dog and vice versa. I always get Saturday headaches too. Apparently it means your job is too demding duringt he week. You start to relax and the headache thinks it its fine to appear. I know what you mean, it relly wastes you free time too. Good news is that it shouldnt happen once you start living the life you want!